The winning streak continues! For every game I've been 'on the road', Arsenal have won in all competitions. It feels good to be a Gooner right now, and what a better place to celebrate yet another win (and another Ramsey goal) than in the wonderful city of New Orleans, Louisiana. M-I-S-S-I-S-S-I-P-P-I. One of the world's great rivers. Smells a bit. 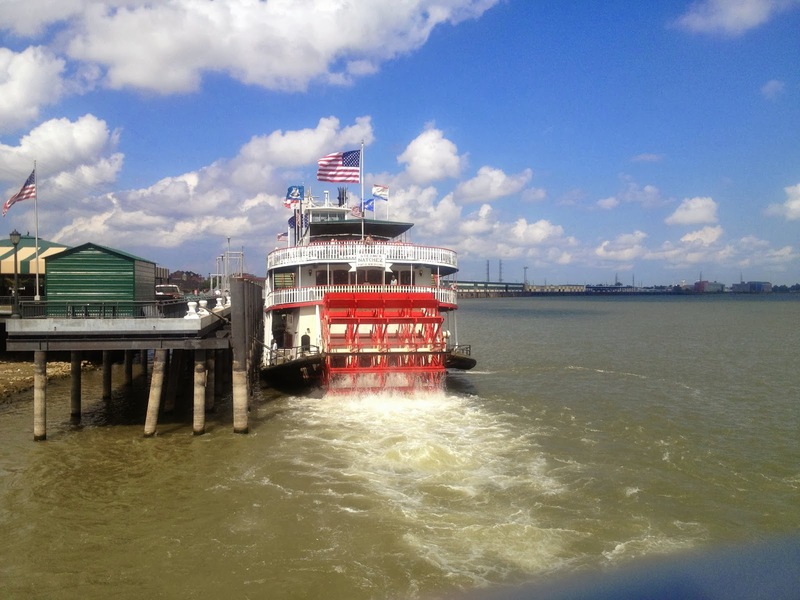 New Orleans is one of the most characterful cities in the United States. The mix of French, Spanish and American influence has given the place an unbelievable feel. Being situated in the Deep South, in-between a river (the Mississippi), a lake and the Gulf of Mexico, it gets extremely humid from Spring to Fall. This heat is one of many incentives to drink yourself under the table in one of New Orlean's countless bars and pubs, many of which have their own unique offerings, and of course many of which serve alcohol 24 hours a day. 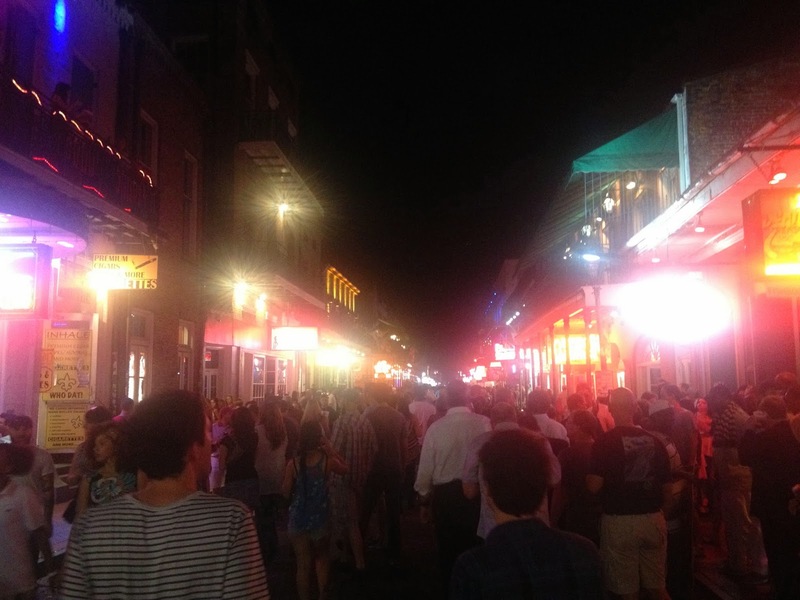 With this in mind, you can understand why New Orleans is the party capital of the country along with Las Vegas. The local Arsenal fans, known collectively as the NOLA Gooners, meet up at Finn McCool's Irish Pub in the Mid-City district of the city for every match. The supporters club itself has only recently gained status as an officially recognised branch of Arsenal America, but, by the atmosphere I experienced, it looks like they've been going since the beginning of time. Of course, as is typical with the Gooner Family, I was welcomed with open arms, had several pints of New Orlean's finest ale bought for me, and raised $120 for the Triple Negative Breast Cancer Foundation. As you can see from the video above, The NOLA Gooners were out in full force and were understandably elated when Aaron Ramsey scored his eighth goal of the season. The celebrations went long into the day and night, as we once again claimed top spot in the Premier League. Talking of the Flying Welshman, Ramsey has quite simply become Arsenal's main man and every time he has the ball he does something productive. It's not like he has the technical ability of the Premier League's greatest, but he has the engine and the determination to become Arsenal's own Lampard or Gerrard and, much like they did ten years ago, score 20 or 30 goals a season. Gnabry also grabbed his first Premier League goal on Saturday and his performance is going to really give Walcott something to worry about. It's definitely some much-needed competition for the right wing, especially when we consider Walcott's performance has been slack of recent weeks prior to his abdominal procedure. The next stop on my itinerary is Austin, Texas! For now though I'm enjoying my last day in New Orleans. Please look out for the Meet The Gooner Family link on Colin Ash, my host here.